There's a reason I'm personally drawn to the Fire Agate. 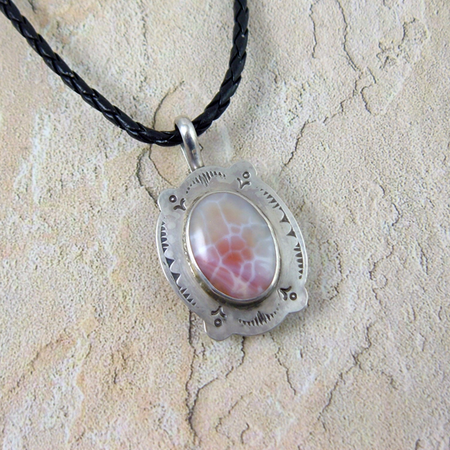 It's a grounding and inspiring stone, a stone of creativity and expression. 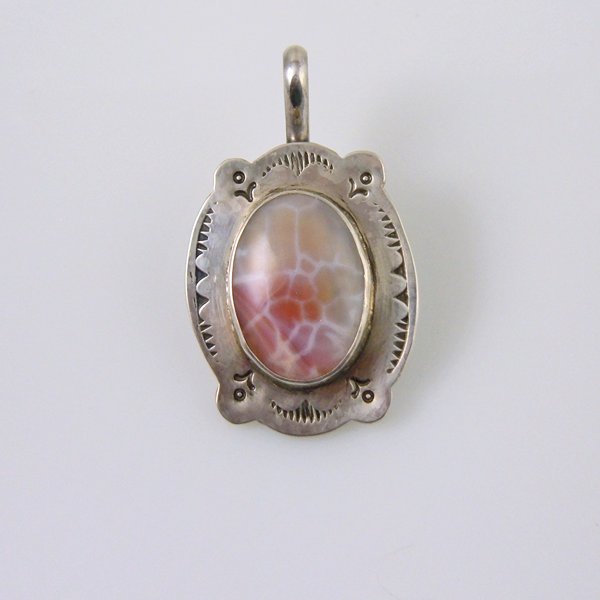 It's also said to be a stone that inspires courage within us. Not to mention the beautiful variations of color. 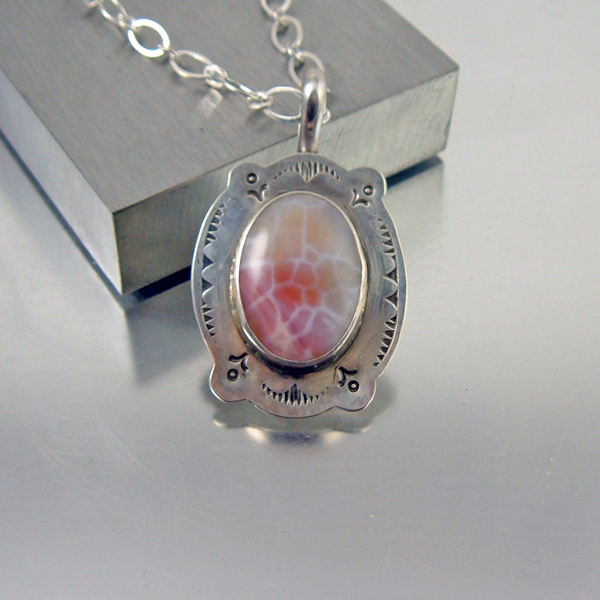 I've used classic Navajo stamps in creating the design on the sterling silver bezel; a mix of timeless design with a little modern spin. The necklace pendant has a hook or slip on bail. 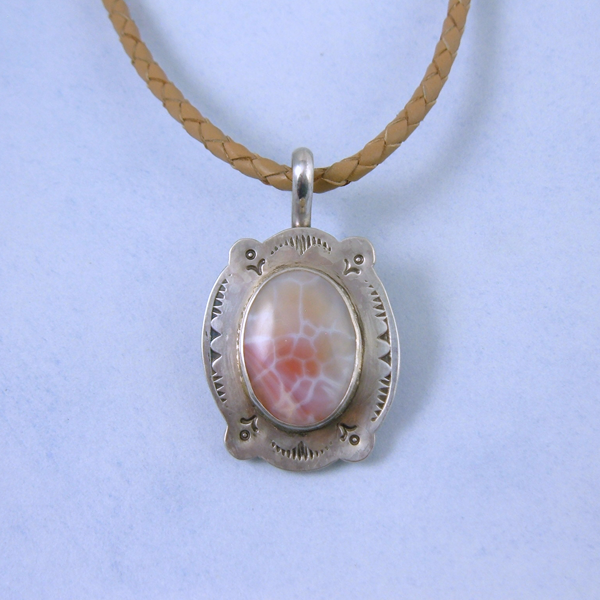 It can be worn on most any kind of chain, beaded necklace, Navajo pearls, or thick leather. The hook bail allows you to slip the pendant onto your necklace regardless of your clasp size. Plus, the pendant stays put until you take it off. I've kept the stamping design gender friendly, it's a perfect design for either a man or woman. 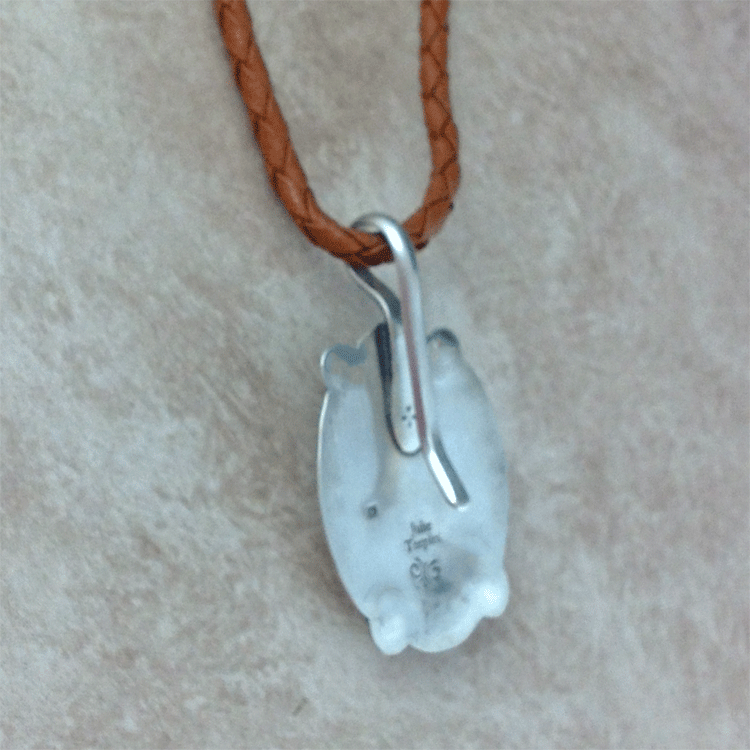 Perfect layer pendant to create a Southwest, Western, Modern or classic bohemian look. 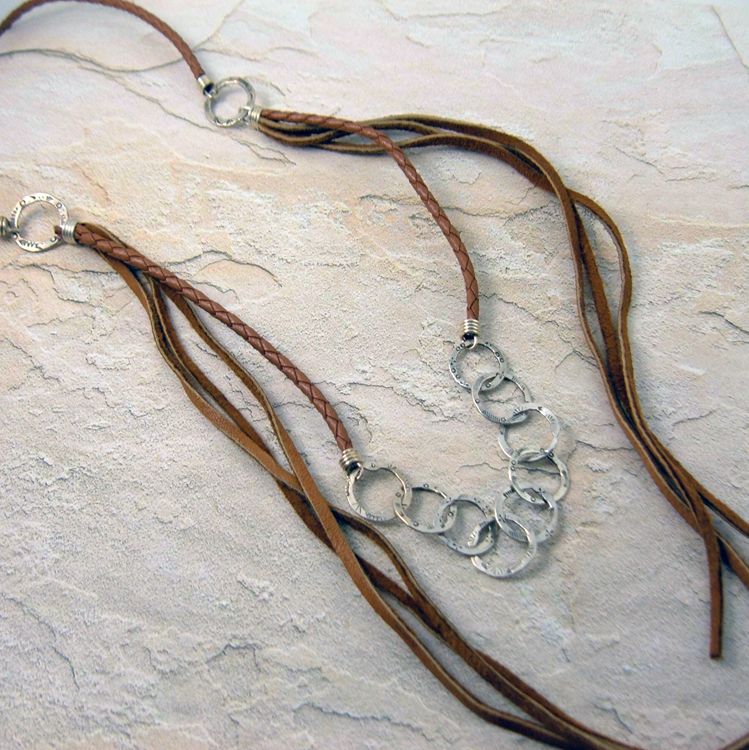 Perfect additional for a leather pendant/charm holder necklace.